track of your stories! You definitely have a plethora of novels—both historical and contemporary—to your credit, and I must say loved the title and theme of your Paper Roses so much so I had to buy the book instant I first saw it! 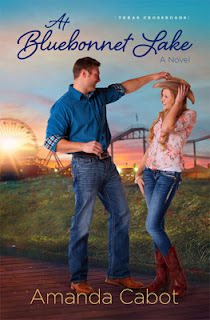 I think it’s safe to say romance is the abiding theme in your stories. Are you drawn toward the same tender love stories you write? Do you find one theme more repeatedly snags your attention as a read? Is there something special you seek when selecting your next reading adventure? I’m absolutely delighted that Paper Roses caught your eye! That story holds a special place in my heart. You’re right in thinking that I’m drawn to romances both to read and to write. I love the concept of love conquering all, but more than that, I truly believe in the healing power of love. 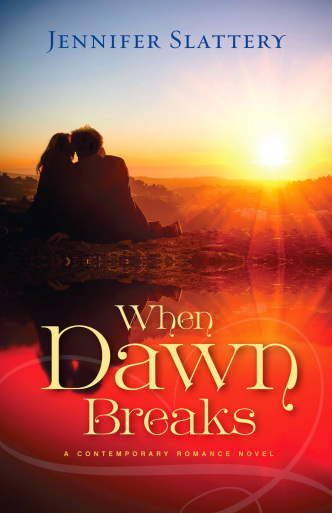 My favorite stories are those where love heals a wounded hero or heroine … or sometimes both. Oh, yes, those are the best! So, know that we know what you love to read... What was the most out-of-character book you’ve recently read, and what led to your choice? about. I was hooked from the first page, and yes, it did keep me awake at night, turning pages to find out what was going to happen next. No nightmares, though. Just hours of riveting reading. Wow, now there's a recommendation, folks! Amanda, as a writer, you should know better, but as a reader, you know we all do it…so, when did you last “judge a book by the cover”? How did it work out? I don’t normally read children’s books, but when I saw the cover of The Adventures of Geraldine Woolkins by Karin Kaufman, I was so intrigued that I had to buy it. I’m happy to report that the story is as good as the cover and, that while it may appear to be a children’s book, it’s an allegory that’s also suitable for adults. Another good recommendation. So speaking of children's books... were you the kind of kid/teen who loved reading? Which novel do you first remember reading? I was definitely one of those kids who always, always, always had a book in hand. As Thomas Jefferson said, “I cannot live without books.” I can’t remember the first novel I read, but the first one that I read so often that I had whole sections memorized was Little Women. any or multiple books influence this desire? I was about seven when I decided I wanted to be a writer. That wasn’t based on any one book but rather on the fact that books had the ability to transport me to new and exciting places, to introduce me to people who were braver than I’d ever be, and to show me that happily-ever-after was possible. Reading brought me so much pleasure that it seemed logical – at least to a seven-year-old – that I should become a writer and bring that same pleasure to others. What a delightful decision! I'm glad that seven-year-old mind remained undaunted. So one last question, Amanda, with a chilling winter deep upon us, what is on your cozy to-read list? And what is your ideal winter reading experience? snuggled under a wonderfully warm fleece throw a dear friend made for me, with a cup of cocoa topped with miniature marshmallows at hand. Thanks so much for visiting and letting us get to know you better as a reader, Amanda! 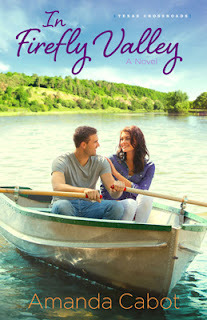 Folks, you can continue to connect with Beth—and find out more about her Romance books!—at the links below. 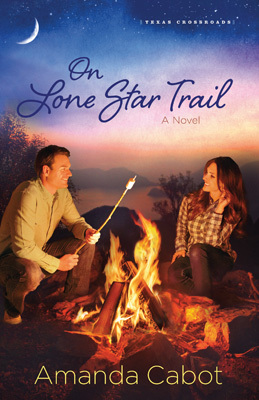 In case you need back cover copy for the current release, On Lone Star Trail, here it is. on a motorcycle. Her last encounter with one left her right hand crushed, ending her promising career as a concert pianist. 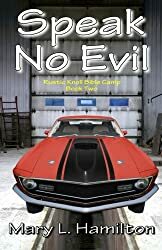 Unsure about the next phase in her life, she heads to Rainbow’s End Resort for some R&R when a sudden thunderstorm causes a motorcycle to crash right in front of her. As these broken people collide, they find that a bright future is still ahead—it just might not be the one they imagined for themselves. 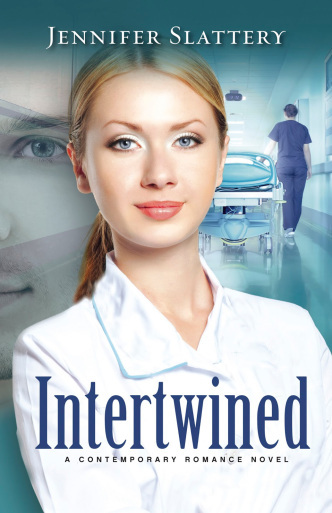 Intertwined, released this fall, your next comes in March, and you have several other Women’s Fiction/Contemporary Romance novels to your credit—In fact, your CP recommended one of your books in her interview last summer! I’m curious, what was the most out-of-character book you’ve recently read, and what led to your choice? I’m reading The Bones Will Speak by Carrie Stuart Parks. I started reading it because I like her as a person and realized by the first page I loved the book and her writing. It’s intense; it has a CSI feel, and I normally don’t read crime type books—I tend to be pretty squeamish. But her writing is so good, my love for the story and Carrie’s characters has pulled me in. them from their covers. As to how that worked out… Well, I don’t buy solely on cover. If the cover grabs me, I read the back cover then usually a couple pages, one from the front of the book and another random page. Having published four books so quickly do you find time to read during the months you spend writing or with deadlines ahead is it either/or for you? If so, what did you read while working on your last book? If not, what did you read when you finished this one? My husband calls me a veracious reader. I always have time to read! I read to relax at night, usually from 8pm-10pm. What I don’t have time for, however, is television. Or movies. I’d rather read. The characters act so much better in my head than real life! Coates Gilbert. I had a tough time getting into this book initially, and I’m not sure why, but by the third chapter I was absolutely hooked. And Ms. Gilbert kept me guessing. The plot was unique, I loved the setting, and I really wanted to see the heroine succeed. The second book I read, which may be one of my all-time favorites, is The Purple Hibiscus. It’s about a girl living in Nigeria at the start of the war of Biafra, when things begin to get tense and families start to flee. It was disturbing in parts, thought provoking, one of those books I will likely always remember. I love reading in bed, especially on a Sunday afternoon, with a mound of pillows behind me, a sweetened mug of decaf filled ¼ of the way with almond milk in hand, and my husband lying beside me watching football. 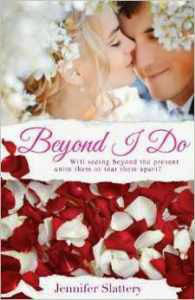 If Tammy Kuhn, the heroine in Intertwined, were to pick a book from today’s shelves, what do you think it would be? reminds here there are real heroes out there, and maybe, just maybe one day a woman like her can fall in love again. Thanks so much for visiting and letting us get to know you better as a reader, Beth! 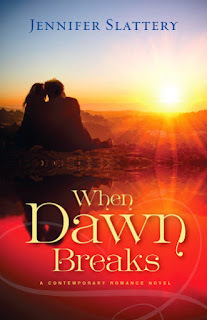 Folks, you can continue to connect with Beth—and find out more about her Romantic Suspense books!—at the links below. Margaret, welcome to Writers on Reading! I’m looking forward to getting to know you as a reader. Your most recent novel, Calico Spy released at the beginning of this year—January 1st to be exact. 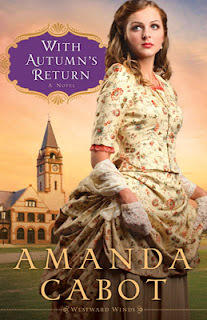 With soooo many historical romances to your credit, I’m curious, if you read the same genre? Do you find one theme more repeatedly snags your attention as a read? Is there something special you seek when selecting your next reading adventure? Thank you for letting me talk about one of my favorite subject: books! I actually read all over the board; westerns, romance, mysteries, women’s fiction, the toothpaste tube—you name it! I like to read fast-paced books on the treadmill to keep my mind off the fact that I’m doing something that goes against my nature. You have me laughing. (I’m a toothpaste-tube reader too, and I think we can all relate to the treadmill comment.) What was the most out-of-character book you’ve recently read, and what led to your choice? I read a lot of weird books for research and some are pretty boring. I just finished reading The Art of Blacksmithing and Pennsylvania Clocks. Can you believe? I’ve now got books on Texas rangers spread throughout the house. I never read just one book at a time. Now that let’s into your reading world. As a writer, you should know better, but as a reader, you know we all do it…so, when did you last “judge a book by the cover”? How did it work out? I don’t generally choose a book by its cover, but I do choose them by titles. I picked up the Eloquence of a Hedgehog and The Guernsey Literary and Potato Peel Pie Society solely on the basis of their titles. How can anyone not read titles like those? It worked out just fine. Love those titles and your thinking---after all the titles show the author so much more than any cover can. Having published so many stories do you find time to read during the months you spend writing or with deadlines ahead is it either/or for you? If so, what did you read while working on your last book? If not, what did you read when you finished this one? I always find time to read. Since I finished writing Calico Spy more than a year ago I honesty couldn’t tell you what I read afterwards. I just finished book two in a new series. To celebrate I’m reading Lee Child’s Make Me on my Kindle. The book came out in September so as you can see I’m behind. All the Light We Cannot See by Anthony Doerr is a beautifully written book that must be read slowly and savored. Even after I finished reading it I didn’t want to put it down. Oh, I’m jealous! I haven’t gotten to read that one yet. (Of course, once I read it, I don’t get to look forward to it any longer, so maybe you’re a wee bit jealous too.) Were you the kind of kid/teen who loved reading? Which novel do you first remember reading? I read all the time as a child. My favorite was Little Women. We didn’t have cellphones, video games, or the Internet back then, so there wasn’t much else to do but read. We also didn’t have much in the way of young adult books, so by the time I was twelve I was sneaking books written by Daphne du Maurier and Mary Stewart. Frank Yerby introduced me to the romance novel, and it’s a shame more people don’t know about his books. I read beneath the covers with a flashlight. As a result of staying up late reading, I couldn’t stay awake in school. Things got so bad they tested me for a blood disease. Your poor parents! When did you know you wanted to write? Did any or multiple books influence this desire? I think I always wanted to be a writer and wrote my first “book” in fifth grade, a mystery. It took place in a bakery and someone kept stealing the macaroons. I hated history in school—all those battles and dates. That changed when I read Gone with the Wind in sixth grade. That’s when I realized that history was really about people and how they dealt with the times. That had a great influence on me and is probably why I love writing novels set in the nineteenth century. With a chilling winter upon us, what is on your cozy to-read list? And what is your ideal winter reading experience? This question made me laugh because I’m usually writing a summer story in winter and winter story in summer. That’s how it always seems to work out. 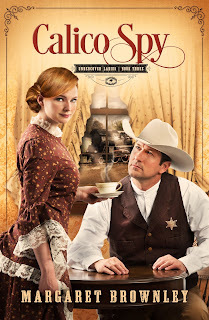 As for my reading list I’m a judge for the Romance Writers of America Rita contest and have nine books to read by March. Since this is a contest I can’t tell you the titles, but of course they’re all romances. Yum, yum. I plan to read in front of a blazing fire with a box of chocolates on my lap! I love that I can enjoy myself reading and still call it work. If Katie in Calico Spy were to pick a book from today’s shelves, what do you think it would be? 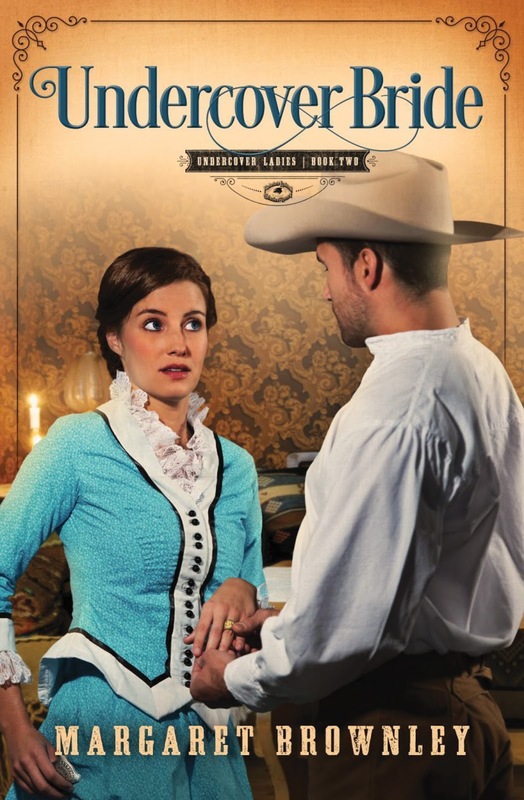 Katie is a dime novel buff so it would have to be something equally popular like a romance, mystery, or thriller. She’d probably pick up a Nora Roberts or Debbie Macomber book. Then there’s always the possibility she’d stumble upon one of mine. Hah! I luuuvv that answer! What a fun interview. Thanks so much for visiting and letting us get to know you better as a reader, Margaret! Folks, you can continue to connect with Margaret—and find out more about her books!—at the links below. Thank you. It’s been fun! 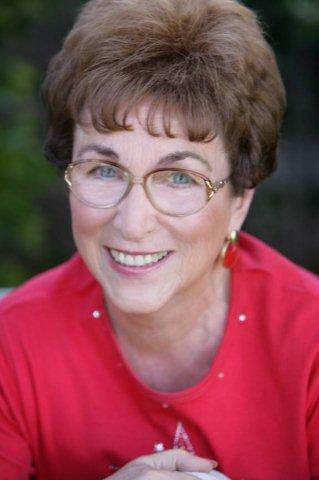 BEST-SELLING AUTHOR MARGARET BROWNLEY has penned more than forty novels and novellas. 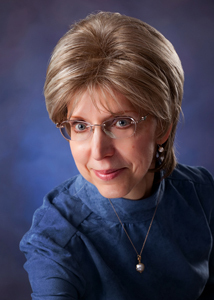 Her books have won numerous awards, including Readers' Choice and Award of Excellence. She's a former Romance Writers of American RITA® finalist and has written for a TV soap. She is currently working on a new series. Not bad for someone who flunked eighth grade English. Just don't ask her to diagram a sentence. Beth, welcome to Writers on Reading! I’m looking forward to getting to know you are a reader. 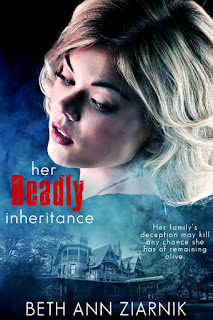 Your debut novel, Her Deadly Inheritance, released mere days ago. I’m curious, are you drawn toward the same genre you write? Do you find one theme more repeatedly snags your attention as a read? Is there something special you seek when selecting your next reading adventure? Thank you for inviting me, Deirdre. It’s great to be here, and yes, I am excited about Her Deadly Inheritance. I’m hoping readers will find it as much fun to read as it was to write. 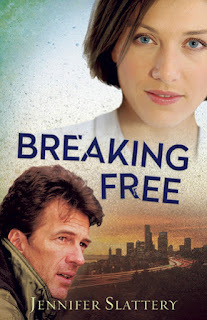 As to the genre I’m drawn to, I’ve loved reading romantic suspense since I was a freshman in college. Like others, it comes and goes in popularity, but I agree with librarians. 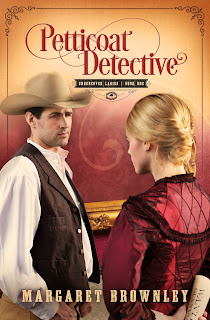 They tell me that fans of romantic suspense are always looking for that next one. I’m definitely one of those avid fans. 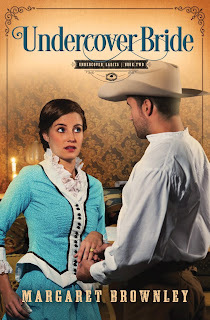 Just recently, I saw the fascinating cover for The Dividing Stone by Anita Estes. I bought her novel and am thoroughly enjoying it. It’s somewhat reminiscent of a Frank Peretti novel, with angels and demons responding to people’s prayers in ever darkening circumstances. Sounds shivery! I was a Peretti fan, too, back in his heyday. Do you find time to read during the months you spend writing or with deadlines ahead is it either/or for you? If so, what did you read while working on your last book? If not, what did you read when you finished this one? I enjoy reading other novels while I’m writing my own. They inspire me rather than distract me. 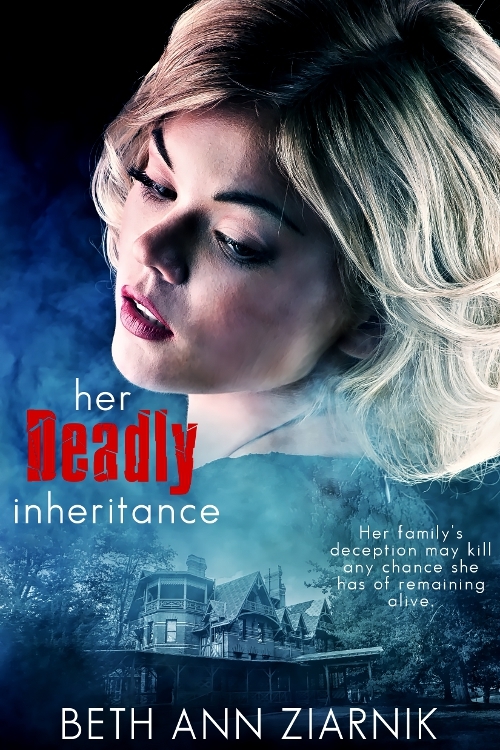 While writing Her Deadly Inheritance, I read many Love Inspired Suspense novels by such authors as Margaret Daley, Dana Mentink, Debby Guisti, Lisa Harris, Christy Barritt, Terri Reed, Shirlee McCoy, Jill Elizabeth Nelson, Valerie Hansen, and so many more! Actually, I can name two! 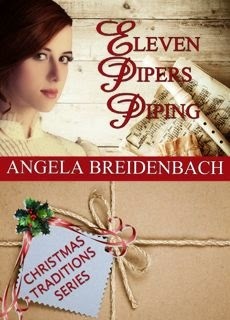 “Fragile Blessings,” by Susan M. Baganz, one of three historical romance novellas in Love’s Christmas Past. The heroine has just lost her first baby in childbirth when her husband volunteers to take in three small children who just lost their parents in a fire. She’s aghast, but the deed is already done. I had to know how she would finally come to take those children into her grieving heart. The other novel is A Thousand Shall Fall by Andrea Boeshaar, also an historical romance. The convoluted adventures of the heroine as she tries to find her sister in the midst of Civil War battles and, instead, finds true love in the most unlikely social situation absolutely captivated me. Well, those are excellent recommendations! Were you the kind of kid/teen who loved reading? Which novel do you first remember reading? Absolutely! The library was my second home. Mom said I first set foot in a library when I was two weeks old. I don’t remember that, but I do remember the many childhood summers when I eagerly signed up for the reading program—check out a book, read it, give a little book report to the children’s librarian, who then stamped another “stone” along the pathway of a themed sheet. Great memories, especially finishing the number of books required to participate in the celebration party. What kid doesn’t like candy, games, and prizes? Maybe that’s what set me on a lifelong pattern of reading novels. I was ten years old when the desire struck. How I loved reading fairy tales, especially books loaded with stories of princes and princesses who had to overcome great challenges before they could live the rest of their lives in love. My favorites were a series: The Red Book of Fairy Tales, The Blue …, The Green …, The Pink …, The Yellow …. The colors went on and on, and I read every one of them! One day, I thought how wonderful it would be to write books that gave others as much pleasure as these books gave me. I didn’t know it at the time, but God had planted the seed of novelist in my heart that day. What a special memory! Thank you for sharing that with us, Beth. Has any book stuck with you recently? What created the lasting impressions? The novel that has stuck with me down through the years is Jane Eyre by Charlotte Bronte. The heroine faced such awful challenges—orphaned and mistreated by those who should have loved and cared for her. But she rose to the challenge and grew up to be a woman of courage, a woman who risked the unknown and chose to do what was right in God’s eyes even when it cost her dearly. And because she did, the Lord rewarded her in the end by giving her the desires of her heart. When I was a child, I loved reading in the crook of a tree or on my belly in the living room. These days, I like to cuddle in my bed with a soft and warm blanket, and multiple pillows behind me. I keep my to-read novels stacked high on my bedside table. Nearly all are romantic suspense, including Foul Play by Elizabeth Rees and Compromised Identity by Jodie Bailey. If antagonist/protagonist in your debut book were to pick a book from today’s shelves, what do you think it would be? If Jill, the heroine of Her Deadly Inheritance, were to select one of today books, I think it would be Pesto & Potholes by Susan M. Baganz. She would find common ground with Susan’s heroine who longs for a place in a loving family but isn’t sure how that would ever happen. What a delightful and intriguing answers. Wasn’t this a fun interview! Thanks so much for visiting and letting us get to know you better as a reader, Beth! 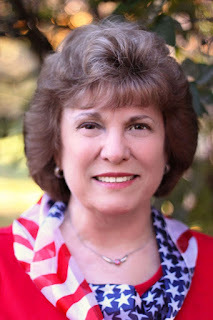 Folks, you can continue to connect with Beth—and find out more about her Romantic Suspense books!—at the links below. 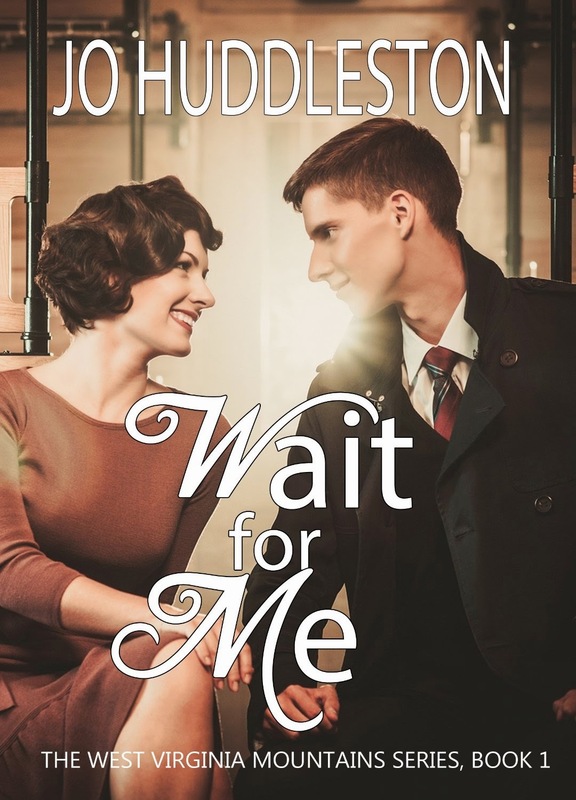 A long-time fan of romantic suspense, Beth Ann Ziarnik offers her first novel with all the twists and turns, cliffhangers and romantic tension she and readers have come to love. 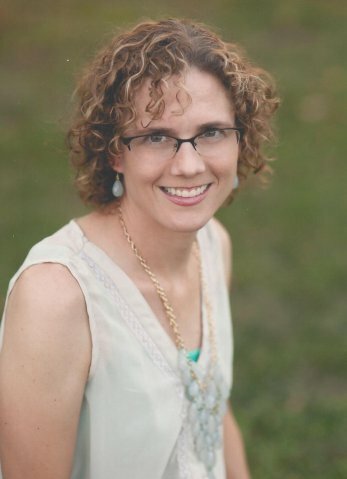 She is a co-founder of Word & Pen Christian Writers in Northeast Wisconsin and a member of American Christian Fiction Writers. In addition to her 450 published pieces (several included in anthologies), she is the author of Love With Shoes On, her ten-year devotional column about love in action and based on 1 Corinthians 13.